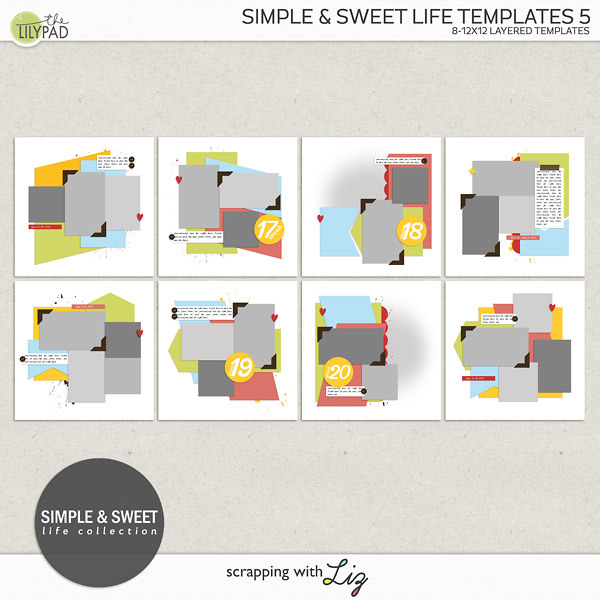 Scrapping with Liz: 50% Off One Day Only! 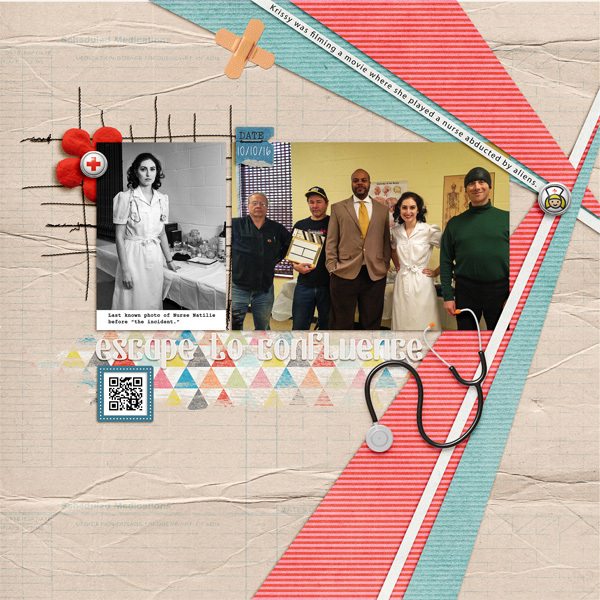 Today I have two older BYOC products and a new Recyclable set on sale for Something Old, Something New. Enjoy the 50% SOSN discount on these products today only, December 13, 2016. 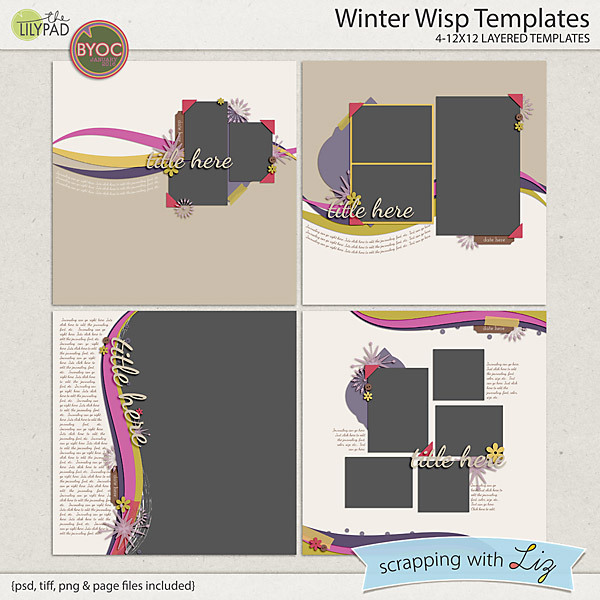 Winter Wisp Templates (from the January 2016 BYOC) feature wispy, wavy paper strips in the background, with text paths and boxes that follow the curves. 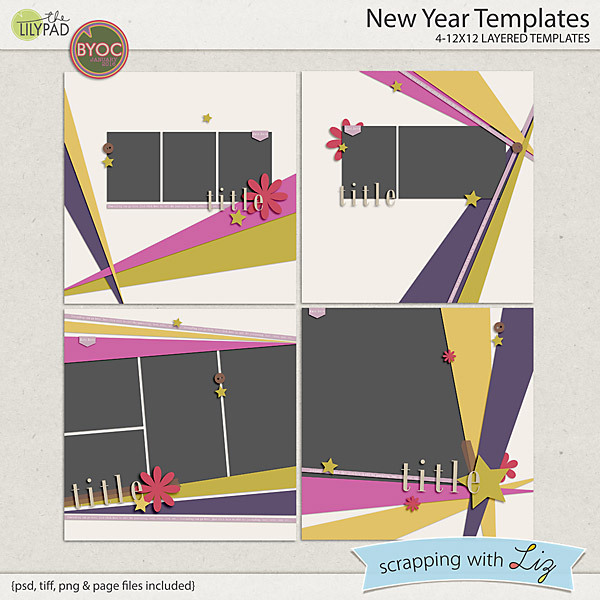 New Year Templates, also from January 2016 BYOC, have fun spotlight style paper clipping masks. 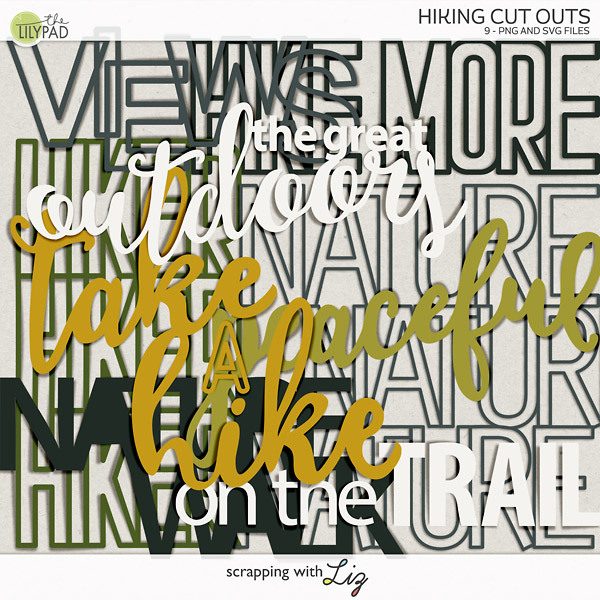 They are very festive and great for scrapping a party. 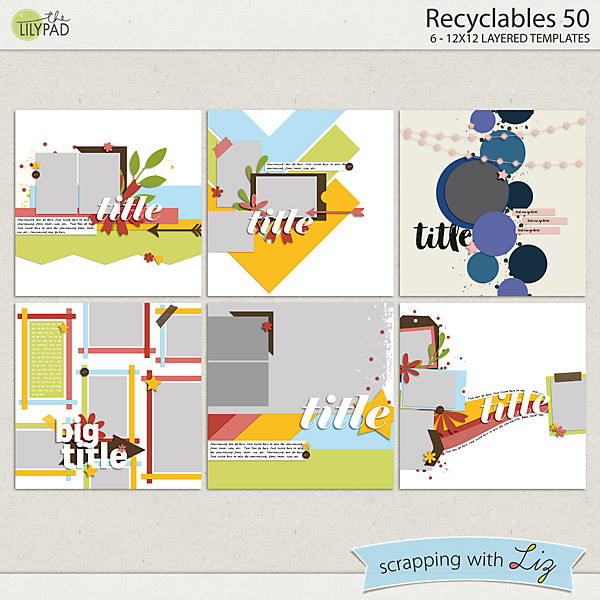 Recyclables 50 is a new set of past freebies and challenges prizes. This is a fun set with lots of variety - small photos, big photo, waves and circles, and plenty of paint platters and scatters. 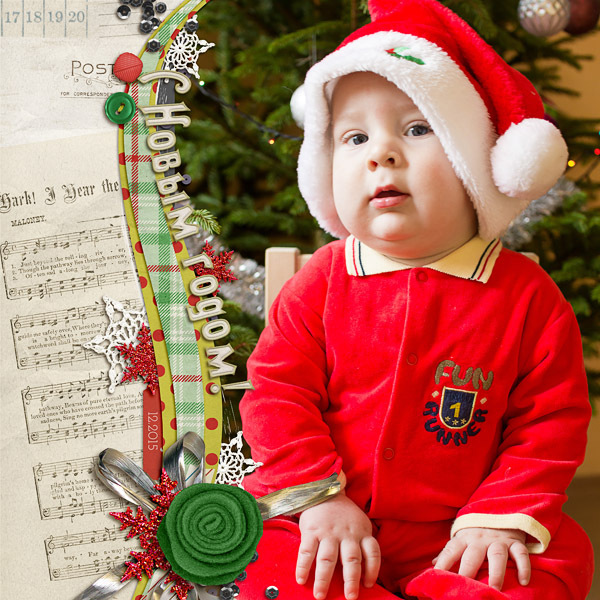 Katya scrapped an adorable Christmas page with Winter Wisp Templates. Donna scrapped about a filming a movie with New Year Templates. And finally, Kimberley had fun with patterned paper using Recyclables 50.